Increasing a company’s visibility is critical to growth. People are looking for companies in Carrollton via the internet on Google and Bing every single day. Our SEO process begins with understanding your audience–for both SEO and conversion. We understand individuals looking for a Carrollton Bakery search differently than someone looking for a family doctor. We also work with you to ensure the market we are targeting is the market you are trying to serve. We custom tailor everything from multi-channel to hyperlocal solutions to fit your company’s marketing needs. 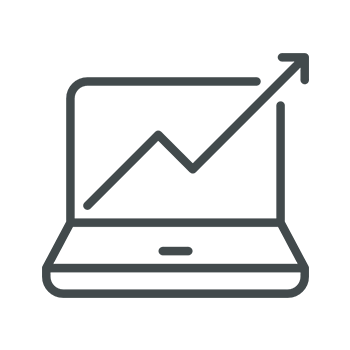 This means we do Search Engine Optimization, but depending on your needs, we will combine pay-per-click, content marketing, social media marketing, and marketing automation services to provide a truly custom solution. Have you ever looked at something online and then seen ads for it everywhere else you look on the internet? That is retargeting and it is extremely effective. Once we get a potential client to your site, we will retarget them around the internet so you continue to get touch points with that potential client. We don’t try to give you a free SEO audit that provides you little to no insight and only tells you what you already know: that you aren’t on page 1 of Google and aren’t getting leads via your website. These are silly. Your firm and our company are both better than that. We aren’t going to use a bunch of phrases with words like “integrated full service marketing solutions that deliver long term sustainable SEO solutions…” What we will do is rank your site, conduct real analysis of PPC terms, and treat your marketing investment like our own. We know that our ability to deliver can be the difference between a family vacation to Hawaii or one to a city park. We pride ourselves not being a normal marketing firm. Our founders were members of the Special Operations community and bring that competitive drive to the world of digital marketing. We don’t sit around and debate what hue of orange this is. We research, conduct analysis, and execute. Most industries have norms and standards. Your industry probably has governing bodies, professional organizations, and a code of ethics. The SEO world isn’t like this. In fact, if you ask a very large marketing agency what search engine optimization is they will start talking about content. Some of the smaller agencies we know will mention raking your site in Google and go into ranking videos in YouTube. Search engine marketing professionals will argue over definitions. One thing they won’t argue about is that search marketing is critical for business success. Most companies out there are doing the SEO basics, but many have also hired SEO consultants. This means that doing the basics will no longer get your website onto the front page of Google if your competitors are paying professionals to rank their websites. At our firm, we don’t care about someone else’s definition. We have a very simple digital strategy: winning. Winning is getting to the top, which is why we have the Alan Morgan Guarantee. We understand that your business needs customers to find your website. As fewer and fewer people turn to phone books or other archaic forms of reference, organic search engine optimization is the most effective way of finding new clients. Many businesses spend tons of money on billboards and TV hoping one in a million will be receptive to their ad. The internet is the only place a business can connect with people actively looking for their services. No matter what your offering, with effective web marketing, customers can find you when they need you. Billboards, TV, and radio just can’t do this. Each internet marketing company expects a different level of success. SEO for some means getting your site from the basement of Google to the first “few pages” of the top search engines. To others, it means getting your business listed in professional directories. For us it means winning. Period. And winning to us isn’t page 2. It is page 1. It is top 5. It is top 3. It is the first result in the search engines. We tweak, we push, we pull, and we pivot until your site wins; not just in Google but in all of the top search engines. We understand that your firm’s relationship with the community isn’t a simple transactional relationship. We know many firms strive to become part of the community and branding is critical. The Alan Morgan Group is not just an SEO company. We understand how to project your brand and image into the digital world. Through our internal creative team and working with one of Columbus, Ohio’s, best branding agencies, we create campaigns to reinforce your positioning and your brand’s identity in both new and emerging markets. We create everything from infographics using some of the best data research in informatics to videos and relevant blog content to engage your audience on a variety of platforms. We leverage the power of social media and email marketing and work with your firm to make the most of in-person events and sponsorships, all combined with SEO to reinforce or even create your desired community image and help your law firm get more business. Many SEO agencies will discuss link building as the foundation of services. We like to start with on-page optimization. Many companies have beautiful websites designed by some very talented web designers (you may be in this situation), but unfortunately those graphic designers build sites that look beautiful but do not have the proper foundation for the site to get found. Wither it is legal SEO or service for an ecommerce company, the way your site is set up can make or break your rankings. We use Google’s webmaster Guidelines as our playbook to getting your site optimized. We focus on functionality, mobile experience, Metadata, Site Content, and Conversion. All the things Google tells people to do that most people don’t. This not only helps your site rank, it protects your rankings once you get them. When the Alan Morgan Group refers to a site’s functionality, we are talking about user experience. This means proper, contextually relevant interlinking of webpages within your website. If you have a legal practice that does general defense work and personal injury, having a link from a page about auto accident litigation to a page that discusses your firms’ accident defense experience with accident trial re-creation experience matters. It is contextually relevant and Google rewards this. Picture your site as a book turned into a PDF document. You would want relevant hyperlinks through the PDF to other parts of the book that reference that particular section. Google wants the same thing. Page speed also matters to Google. Sites that take forever to load do not offer a good user experience, so they do not rank. Bounce rates are high, so they don’t convert. Who is going to wait on the one website to load when they can open two new tabs with two competitors? It matters to internet users, so it matters to Google (and Bing). More and more Americans are searching the internet from a tablet or phone. Most of our clients are split roughly 50% via a computer and 50% mobile. We do have one client with almost 80% of its traffic coming from mobile users. Search engines reward sites that are mobile friendly and actually assign a score to your website. All of the sites we produce are mobile responsive, and we make sure all of our SEO clients are as well. Additionally, we make adjustments to the code to ensure mobile users have easier and prominent click to call buttons to make conversion even easier. Metadata is a general term used in many web application industries. When we say metadata, we are referring to the titles of your website’s pages and the page descriptions. When you see a website in Google, the site’s page title ad description is the preview you can read about bout the site. Titles matter for a few reasons. One, it makes your particular page more relevant to the search engines, but it also helps users decide if they want to click on the link to your site. The right Meta will help your site rank and convert. The wrong Meta will mean you never get found. It’s a little thing, but a big deal. The Alan Morgan Group puts its best people to work crafting titles and descriptions that are good for the search engines and for people looking for your service. We probably do not have to belabor the important of content. Many argue that content is king. We don’t bother getting into arguments about kings and queens. We leave that to the Brits. What we do know is that new and relevant content and enough content all matter in search algorithms. Whether a human or a machine is reading the page, it wants relevant and well written content. We use videos, infographics, blogs, and images to augment a website’s written content. Web design, user experience, and conversion are all related. A properly designed sites isn’t always the best-looking site on the web. Properly designed sites have the right combination of design, content, site structure, interlinking, and search engine ranking. Ranking for the right terms matters, too. Every industry has buyer vs. shopper terms. Shoppers are usually looking at costs and general product information to compare multiple products. Buyer keywords attract people who are searching to call or email during that search. These are the people we target with our search engine marketing and that is what converts at a much higher rate than general web traffic. Site layout also matters for conversions. We use heat maps, scroll maps, and click maps to see what your website visitors are doing on your site and tweak or over haul the site design to put the right content in the right part of the page to convert. We are constantly measuring and tweaking to help make your website as profitable as possible. We aren’t going to use a bunch of phrases with words like “integrated full service marketing solutions that deliver long-term sustainable SEO solutions…” What we will do is rank your site, conduct real analysis of PPC terms, and treat your marketing investment like our own. We know that our ability to deliver can be the difference between a family vacation to Hawaii or one to a city park.